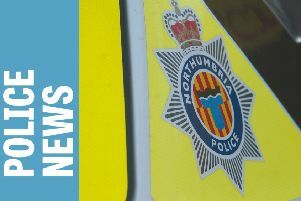 Police are appealing for information after recent fuel thefts in the Morpeth sector. The first incident happened between Friday, June 5, and Saturday, June 6, when diesel was stolen from a wagon at Thompson’s Garage on Coopies Lane Industrial Estate. Between Friday, June 19, and Tuesday, June 23, heating oil was taken from a container at a farm in Park House Banks and the same substance was also taken from another property in Park House Banks between Thursday, June 25 and Saturday, June 27. In addition, a container was damaged when offenders tried to steal heating fuel from a house in Ulgham and people were disturbed in Shadfen when their fuel tanks were targeted. Officers are carrying out enquiries into the thefts and are keen for any witnesses to get in contact with them. Police are also urging members of the public to be extra vigilant and report any suspicious activity or anything that seems out of the ordinary. As this is out of season, homeowners are advised to check their heating fuel tanks regularly, keep an eye on the levels and ensure they have adequate security on their property around the containers.